Brief comment about this article on Amazon's Machiavellian second headquarter strategy. Let's see. Cities fell all over themselves to get Amazon to their doorstep. 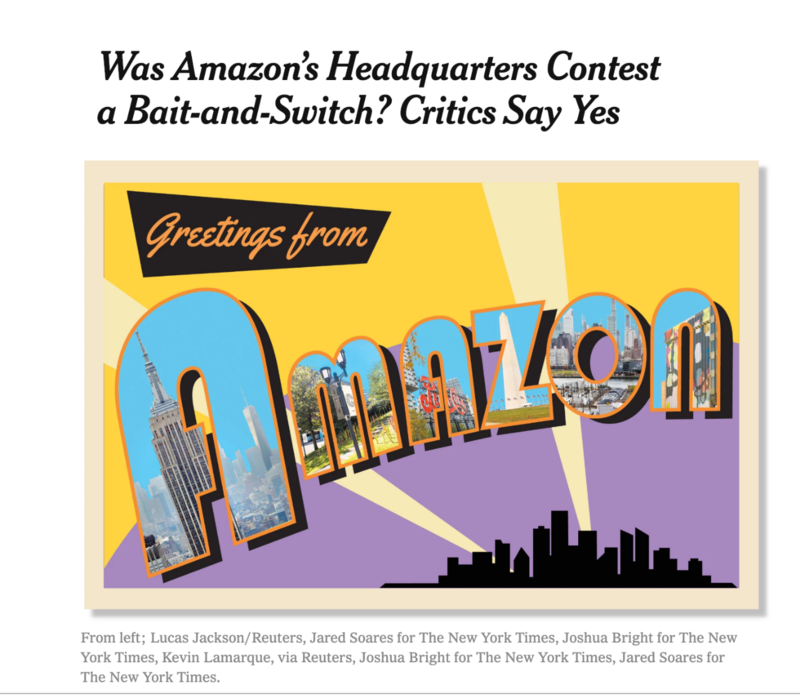 Which means, not only sharing of data about household incomes, housing stock, complementary businesses, storage spaces and what not, but also any number of public officials and business leaders who added themselves willingly to Amazon's network. Perhaps a couple of drone flights to the moon thrown into the bargain. In other words, not only did the country hand over data and political & business relationships to Amazon, they paid to do so. Amazon gets to drive past go and collect $$$ without having to work for it – it's like they were handed a bagful of dice with sixes on every face. And then they communicate this decision on the one day of the year when no one is paying attention to Bezos. Pretty brilliant in a Machiavellian kind of way.